When asked to list their nutrition strategy, most athletes rattle off a list of pills, powders and potions. Luckily, performance-seekers of the Whole9/Paleo/real food crowd have a better handle on things. They know that eating nutrient-dense food helps decrease the inflammation incurred from training, fuels athletic pursuits and is key to overall recovery. 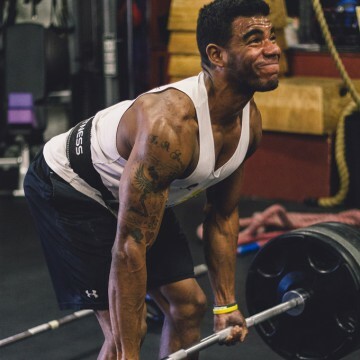 And while our community is more keyed-in than the “carbo-load and eat all the pasta” or “this pre-workout drink comes with a warning label” folks, there’s still a lot of confusion about what to eat when for optimal performance. In fact, “What should I eat post-workout?” is probably the most common question athletes ask me. Perhaps some of the confusion stems from the fact that there is no single universal recommendation that works for every athlete. Consider the differences in training modalities, volume and intensity; the differences in personal goals; and not to mention, all the other pieces like sleep, stress management, health history, and injuries that make us the sum total we are today. If I could write a blanket prescription of what to eat for every athlete in the world—and I mean really figure out the perfect magic formula for optimizing body mass with peak performance—I’d probably be enjoying early retirement on a tropical island. Fortunately, we do know enough about human physiology to use smart food choices to aid recovery. First, let’s define the post-workout period. For our purposes, it’s the time after your training is done up until about 30 to 60 minutes afterward, depending on who you ask. Recovery doesn’t just come to a hard stop once an hour has passed; rather it continues for several hours. Waiting until dinner time to eat when you trained at 6 am isn’t exactly a great refueling strategy either. To get the most benefit, especially when your training is very physically demanding and / or will happen again soon, eat as soon as you can after you’re done exercising. Give yourself a chance to come back to a more parasympathetic, calmed state before trying to force food into your body, but realize that waiting a few hours isn’t exactly ideal either. What if you’re not exercising every day? If you’re including some light to moderate exercise into your healthy lifestyle and you’re trying to improve your body composition, eating a post-workout meal may not be necessary. You’ve got time between sessions to replenish your energy stores by eating three square meals a day. Pay attention to how you feel, and if you’re not performing well, consider adding a post-workout back into the mix. On the other hand, if you’re training several times a week or your next training session is less than 24 hours later, a post-workout refeed becomes more important. Remember that it’s not a substitute for a meal; you’ll eat your post-workout in addition to breakfast, lunch and dinner. The post-workout refeed’s primary function is to jump-start recovery from your training session by providing the substrate to repair muscle and replenish spent carbohydrate. Let’s dig a bit deeper there. Protein intake in the post-workout period serves as a source of amino acids for muscle repair. Specifically, the branched chain amino acids (BCAAs)—leucine, valine and isoleucine—are those that are most specifically used for muscle protein synthesis. The catch is that these amino acids are essential. That means they can’t be manufactured by the body and must be ingested via the food we eat. And while there is protein in plant material, it’s not found in the concentrations found in animal products. Therefore, if you want to repair muscle fibers, you’re best off eating a protein dense in BCAAs such as meat, poultry, seafood or eggs. Additionally, carbohydrate should be a component of the post-workout refeed, but for a different reason than protein. Carbs are needed to replenish the glycogen—a long chain of stored glucose—you used from your muscle during your training. If your exercise included highly intense, interval-type training or endurance activity, you’ve probably significantly tapped into your glycogen stores. Post-workout also happens to be a period of generally increased sensitivity to insulin. Eating carbohydrates causes glucose to be released into the bloodstream, and then insulin is secreted from the pancreas to sequester it away in your tissues, muscle included. Add protein into your post-workout mix and you’ll also take advantage of your increased insulin sensitivity to bring amino acids into your muscle. The best type of carbohydrate for post-workout is one that’s rich in starch. Your body digests starch into glucose which directly replenishes muscle glycogen. Fructose, the sugar found in fruit, goes directly to the liver for processing first. That’s why fruit isn’t an optimal choice for post-workout carb refueling. Gravitate toward starchy veggies. They’re rich in starch and nutrient-dense to boot. Try to keep your post-workout meal lower in fat. Though healthy fats are an important part of a sound nutrition plan and they’re great for helping us feel fuller longer, they slow gastric (stomach) emptying. That in turn slows recovery. Again, this is an important guideline to follow when your training frequency is high because time matters more. If you train a lot, eat a post-workout meal with protein from meat, seafood or eggs along with starchy carbohydrates such as sweet potatoes, white potatoes and plantains. A two-to-one ratio of carbs to protein is a good place to begin. For example, if you figure out you do best with 25 grams of protein, double that value, and you’ll want about 50 grams of carbohydrate. What does that look like in real food? It’s roughly a chicken breast and a large white potato. 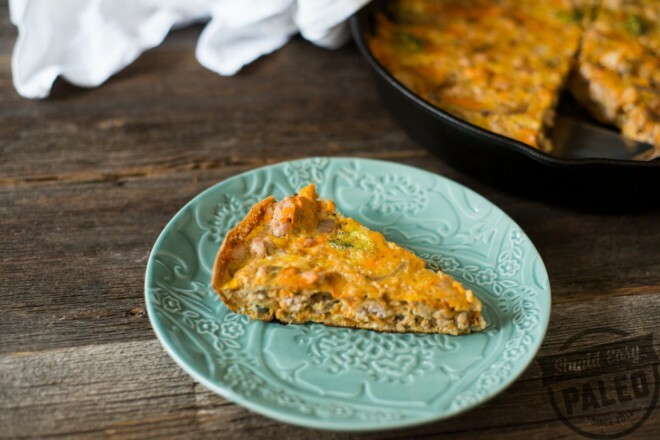 Or try this delicious Chicken Sweet Potato Frittata. Eating a post-workout meal with protein helps provide a source of amino acids for muscle protein synthesis, while carbohydrate assists in glycogen replenishment. Avoid big doses of fat in your post-workout refeed. The more often you train, the more important it is to eat after you work out so you’re supporting recovery and in turn, performance. 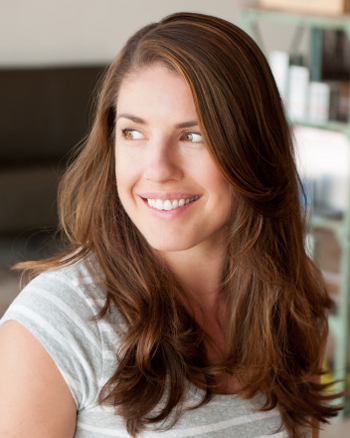 Steph Gaudreau combines twelve years of formal education in biology / human physiology (BS Biology—Human Physiology), science teaching experience (MA—Education), holistic nutrition training (Certified Holistic Nutrition Practitioner), and an unabashed love of tasty Paleo food on her blog, Stupid Easy Paleo. Eating clean, nutrient-dense foods has fueled her both in life and as a competitive athlete. Steph’s mission is to spread the word about how to make simple, tasty recipes to help people in their quests to just eat real food. She authored The Paleo Athlete: A Beginner’s Guide to Real Food for Performance in 2014, and her new book, The Performance Paleo Cookbook: Recipes for Eating Better, Getting Stronger & Gaining the Competitive Edge. Hi! First off, great article and read. I am the gentleman depicted in the cover photo of your article and I didn’t see photo credit. I believe the picture belongs to Joel Langton of JL photos. If you could contact him and let him know you used his photo, it would be much appreciated! Thank you! Hi Clayton! The photo was credited to Caden Crawford (as mentioned above in the photo credits). His photo was available via Flickr under the Creative Commons license, but if you or he would prefer we take it down, simply let me know and we will. hey! So I Crossfit at noon and I consider my recovery meal as lunch too– should I not? I have a can of tuna (in water, but drained), which is 22 grams of protein, with fat source (avocado or olives) and a fruit (banana or Apple). Should I stick with tuna, a white potato and a veggie instead? Jessie, I also CrossFit at noon! I usually eat an apple immediately post-WOD (which, in the article above isn’t the best thing for me), but then I shower and go back to work to eat lunch. Like you, I’m wondering if I need to eat a recovery meal, only to eat a very similar meal 30 minutes after that and call it lunch. I also feel like, even though I CrossFit, I’m not necessarily elite. I sometimes do rx’d WODs and sometimes not. Do I even need a recovery meal? And, if I’m going back to my office to sit for the next 4 hours, it seems like I’m recovering plenty by not moving (unfortunately). So, again, do I need the recovery meal? Your apple has almost non-existent protein. Add some protein into the mix and think about switching out your fruit for a starchy veggie. Just eat one single lunch, with a slightly bigger portion to account for your workout and keep it on the lower side in terms of fat. You did not mention how many times a week you train. If it’s a couple, you probably don’t need a post-workout. 4 or more, then think of adding something in for post-workout. Only YOU can know if it’s working or not based on how you’re feeling and recovering so start tracking it. Thanks, Steph. You’re the bomb.com. I would beef up your “lunch” with a just a bit more protein and stay away from adding a lot of extra fat. In the end, only YOU can tell what’s right or not regarding post-workout. Keep detailed notes about how you feel after your workouts, the next day, etc. If performance slumps, you know you need to keep tweaking. I think keeping a journal is the best way to do it. I tried following many different techniques but each person body is different and need different amount of protein and carbs to function. Trial and error is the way to go. It took me a couple of months to get it right, but now I eat the right amount and have energy for the whole day. Getting in too much of one thing or the other can get you tired. So test and find out what is best for your body. I have a question for you. Would BCAA’s be most effective pre, intra, or post-workout? Or would the difference be minimal? How do you know how much protein is ideal for you? Is there a body weight to ideal protein intake formula? I’m a beginner exerciser. I was walk or walk/run 2-4 miles 5-7 days a week right now. 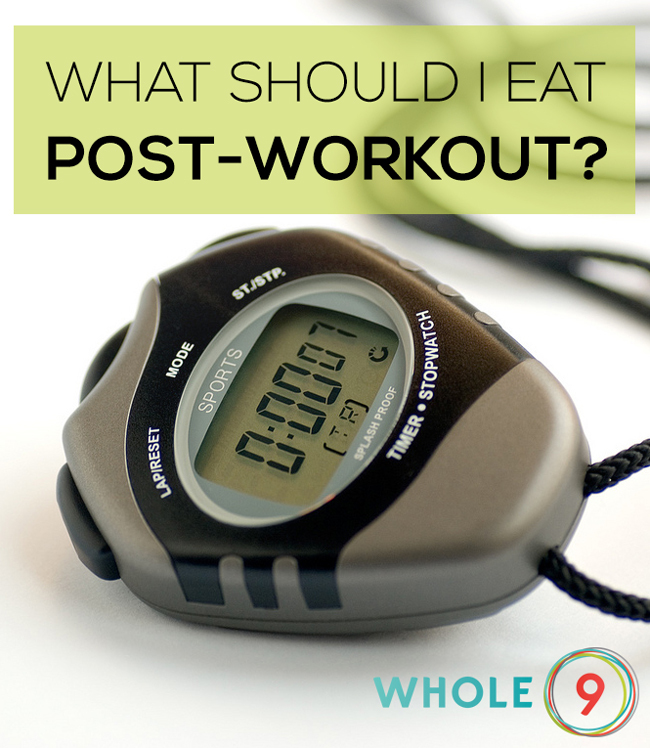 Do I need post-wo?